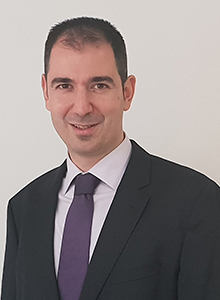 Dr. Panagiotis Prontzas is Director in the Business Consulting Department of Grant Thornton Greece, with a sector focus on the evaluation of investment decisions and strategic management and over 15 years of professional experience. He has studied Economics, holds an MSc in Finance and an MSc in Economic Development and has been awarded a PhD in Applied Economics. Part of his work has been published in international journals and books as well as announced in international conferences and workshops. Panagiotis joined Grant Thornton in 2011; prior to that he worked as a project management officer, managing mergers & acquisitions at the Public Power Corporation Renewables S.A. and as an economic analyst at large private and public sector organizations (Pension Mutual Fund Management Company S.A., Ministry of Economy and Finance, Ministry of Education, Social Security Institute). He has also worked in macroeconomic policy programs of international organizations (OECD, European Commission), as an economic researcher at the University of Athens and as a senior researcher on reform policies at the Academy of Athens. He was a visiting lecturer at the University of the Athens and the Metropolitan College, teaching financial and economic analysis at both undergraduate and post graduate level. His business interests include strategic and business planning, market functioning and competition, delineation of markets, investment decision processes, implementation of financial instruments, impact assessment and cost benefit analysis. His expertise spans the tourism, real estate, logistics, renewable energy, food & beverages, as well as urban regeneration industries. During the last 3 years, in the framework of projects held by the Hellenic Chamber of Hotels, he has been actively involved in estimating the impact of the sharing economy on the tourism industry in Greece, in the evaluation of its socioeconomic consequences as well as in the development of the regulatory framework.